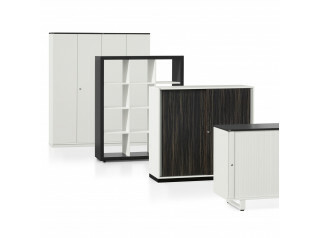 SB 122 Storage Sideboards are an extension of the Classic Line range of office furniture. It is a statement piece, sure to be a discussion piece in any interior. The Classic Line storage cupboards stand on their own merit, highlighting your living and working interior – elegant, with a clear message, functional and solid. 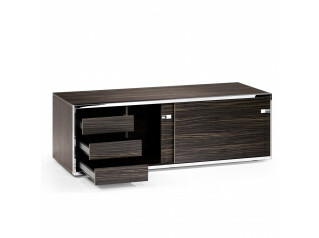 SB 122 sideboards are durable timelessly modern sure to delight you. Constructed using 1.3mm strong sheet steel. 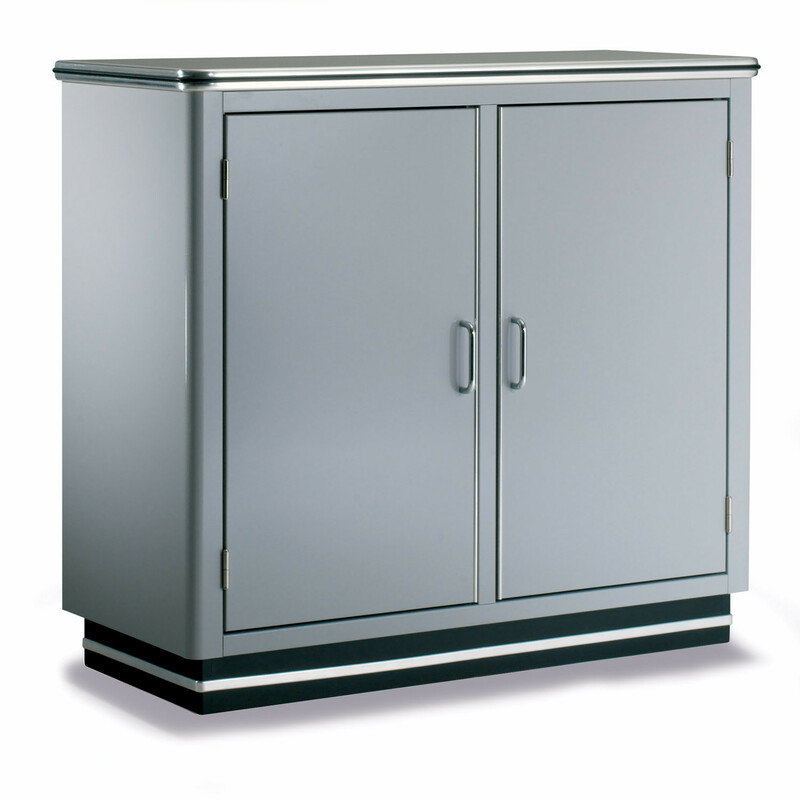 For the paint finish, the same paint acrylics developed in the car industry are used, giving the SB 122 Classic Line sideboard a hard wearing high gloss finish. Using a RAL colour pallet you can have your unit matched with the widest possible range of interiors. 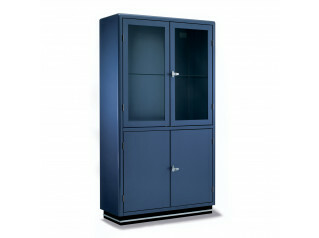 The SB 122 comes with 2 lockable doors, 1 shelf as well as a cable slit in the back as standard. 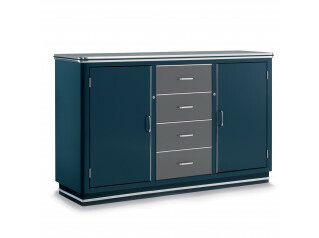 Optionally, one can also have a drawer set of 4 drawers instead of 1 door. You are requesting a price for the "SB 122 Sideboards"
To create a new project and add "SB 122 Sideboards" to it please click the button below. To add "SB 122 Sideboards" to an existing project please select below.